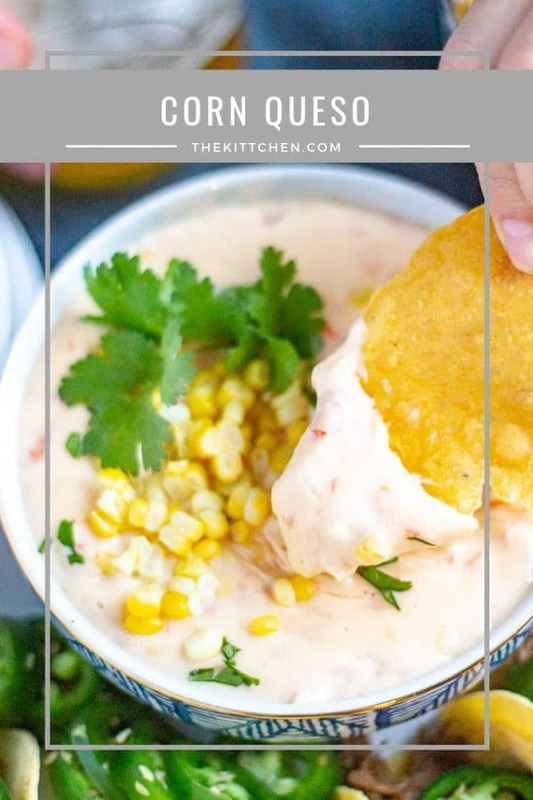 Inspired by my collaboration with Illinois Farm Families® and my visit to Larson Farms, I created a recipe for corn queso. 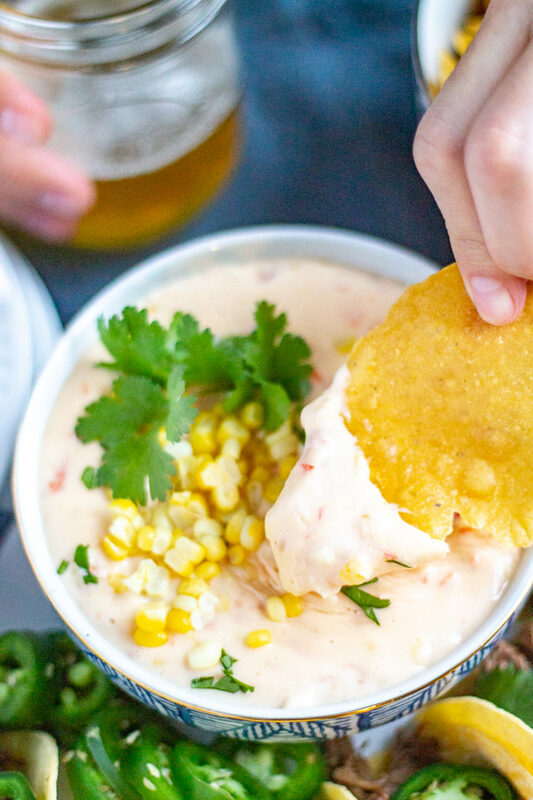 This creamy cheesy queso is loaded with fresh steamed corn, tomatoes, and green chilies. I didn’t grow up close to any cornfields, and as a result, I have a deep appreciation for fresh Midwest corn. 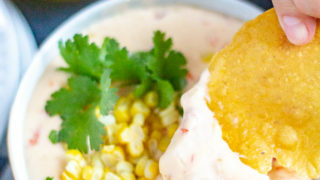 Fresh from the farm corn has an almost juicy flavor, and it makes this queso extraordinary. 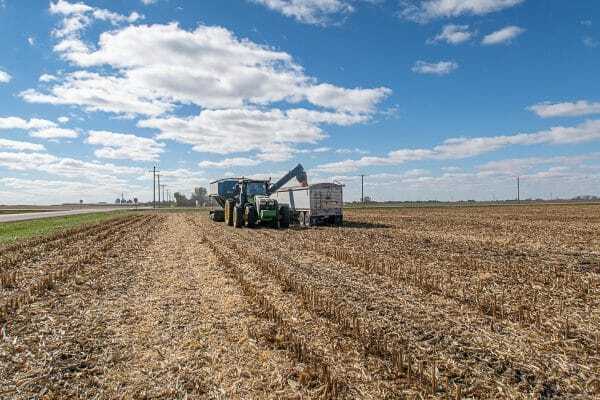 After years of loving Midwest corn, I teamed up with Illinois Farm Families to visit cornfields just 90 minutes from the city, and to learn about how corn is grown and harvested. We visited Larson Farms, a family-owned farm that was founded in 1953. They grow 6,300 acres of corn and soybeans each year. When I visited one of their cornfields in mid-October, some friends from a nearby farm were helping with the harvest. It’s a multiple person job since you need someone to drive the combine, plus people to drive the semi-trucks that get filled up with the corn kernels. It was nice to see how the farmers work together as a community to get the work done as efficiently as possible. Larson Farms is a three generation farm partnership started by Ray and Carol Larson. Today Ray and Carol’s grandson Justin lives on the main farm with his wife and children, and he runs the farm with his parents, aunt, and uncle. I visited three farms with Illinois Farm Families and each farm has been run by the same family for generations. All of the farmers that I met told me that they love what they do – some said that they love it so much that it doesn’t feel like work! I will admit that driving a combine during harvest seems like it would be very fun, I loved just riding along! 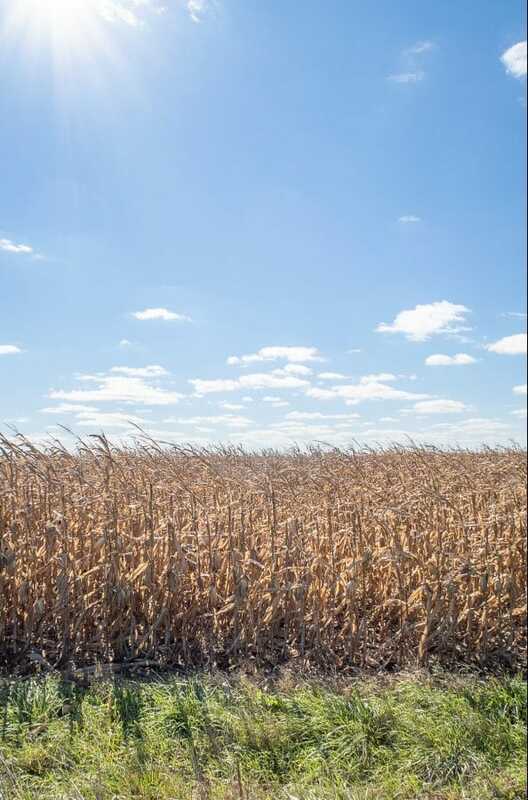 The vast majority of the corn that is grown in Illinois is field corn, like the corn that was being harvested at Larson Farms. Most field corn is used to make feed for animals and other products, but some of it is used to make foods like corn meal, corn tortillas, and tortilla chips. The corn that we eat on the cob is sweet corn; sweet corn has a sweeter taste and the kernels are smaller and lighter in color than field corn. 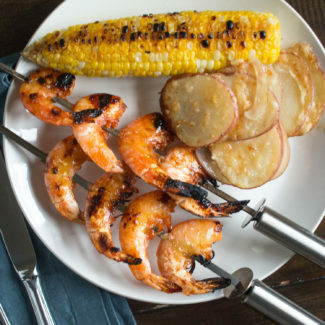 I brought field corn and sweet corn together in this recipe. The queso has sweet corn, and the tortilla chips that you use to eat the queso are made with field corn. 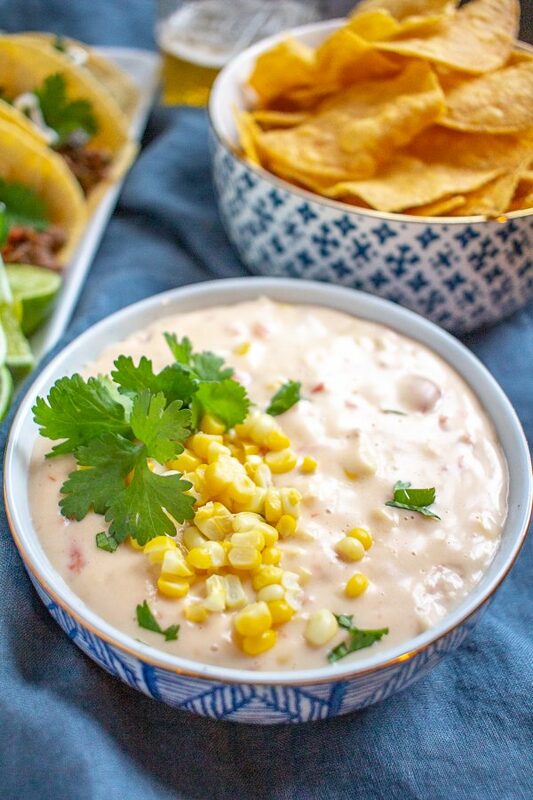 I love queso, and adding fresh corn takes it to a whole new level. 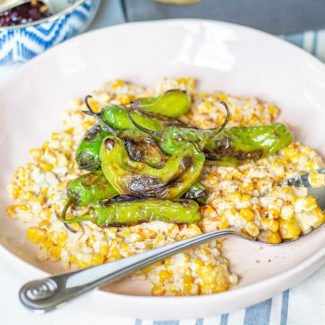 The sweet corn kernels are bursting with fresh flavor. 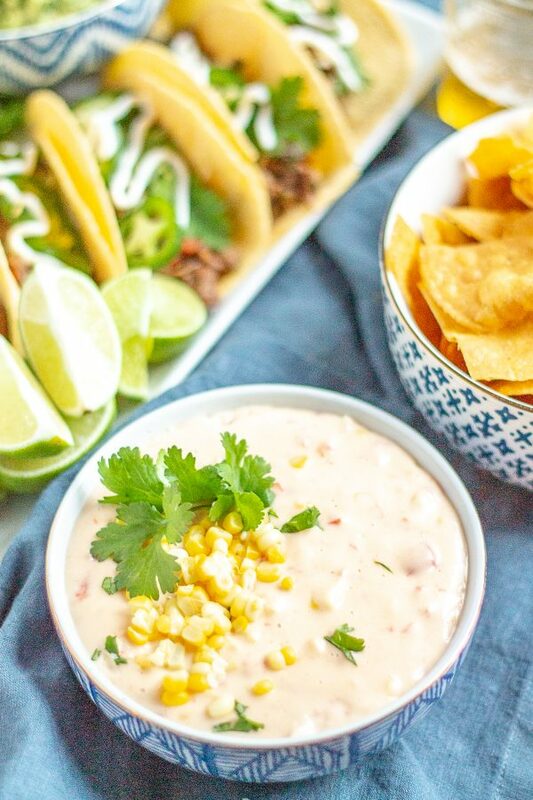 You can serve corn queso with tortilla chips, or you can drizzle some in a burrito or over a taco! I used a blend of cream cheese, cheddar cheese, and monterey jack cheeses to make this queso, it has a creamy and slightly sharp flavor. The green chilies had a hint of spice. If you want to add extra spice you can add in some ground red pepper or chili powder. 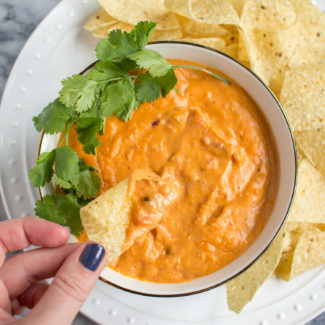 This recipe makes enough queso to feed a crowd, it’s a great snack to serve at a party. If you have extra, don’t worry – it reheats well. 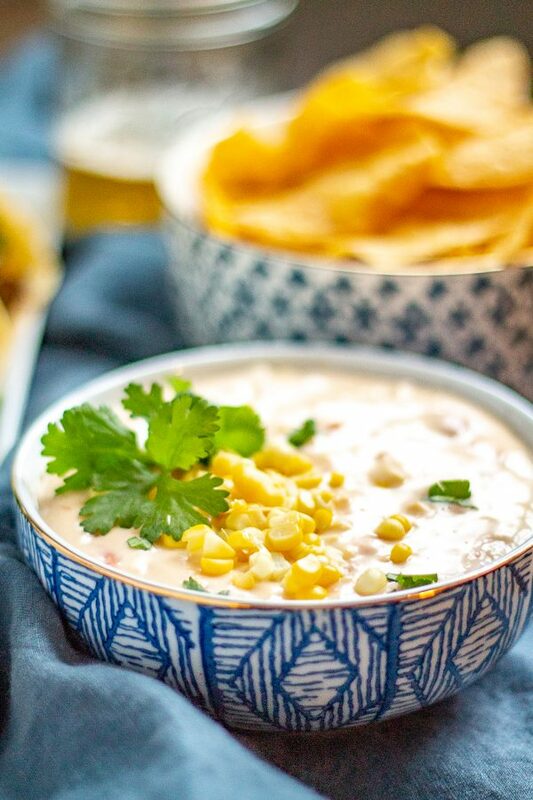 Corn Queso | This creamy cheesy corn queso is loaded with fresh steamed corn, tomatoes, and green chilies. 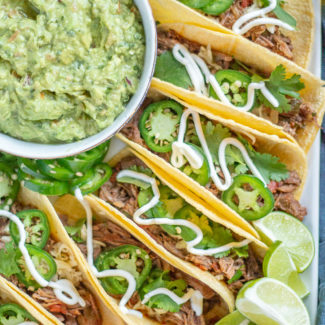 With just 15 minutes of preparation time, this easy appetizer will become a go-to. Shuck the corn, and then steam it in a large pot filled with 2 inches of water. It takes about 8-10 minutes for the corn to get tender. Let the corn cool and then slice it off the cob. Melt the butter in a saucepan over medium heat. 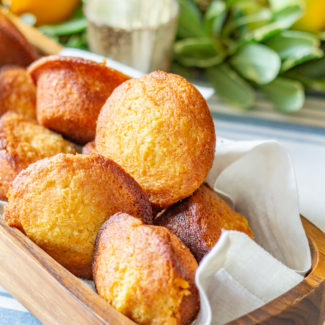 Whisk in the cornstarch, and let cook over the heat for one minute, while whisking. Then whisk in the evaporated milk, and continue to whisk until the milk and cornstarch mixture are well blended. Let the mixture thicken a little. Reduce the heat to low. 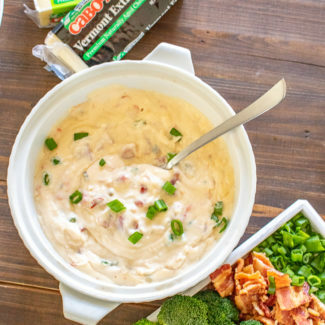 Stir in the cream cheese. Once the cream cheese has been mixed in, add the cheddar and monterey jack a little handful at a time. Wait for each addition of cheese to melt before you add more, this is the way to make sure your queso is nice and smooth. Once all of the cheese has been added and is melted, stir in the rotel and the corn. Heat the queso up until it beings to bubble again, and then serve with tortilla chips. 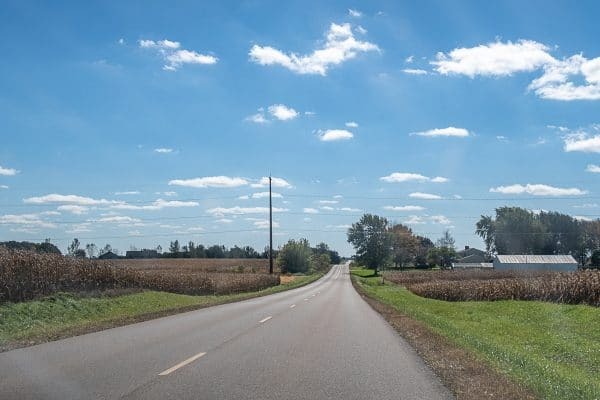 This post was sponsored by Illinois Farm Families®, the opinions expressed are my own.